The Defense mod adds various towers working on special energy ore, hostile mobs and incredible celestial things. Towers can cause damage, blow up, slow down, set on fire or do it all at the same time! Try and your cubic house will always be protected from zombies and other creatures! 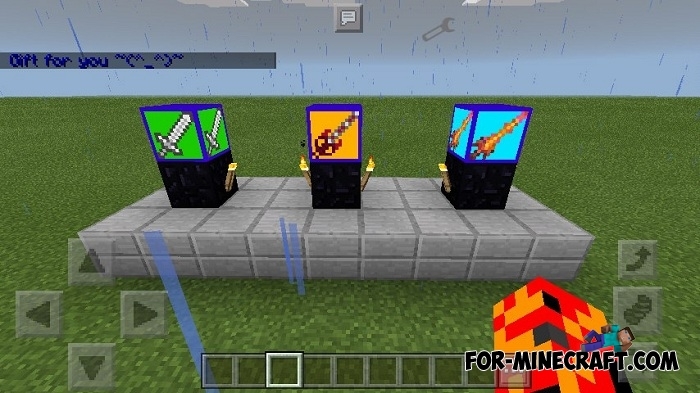 Universal tool is 5 times more powerful than diamond tools. The CE crash is fixed when attempting to invoke an invasion. The spawn of mobs on the first waves is accelerated. Fixed crash when launching the game. 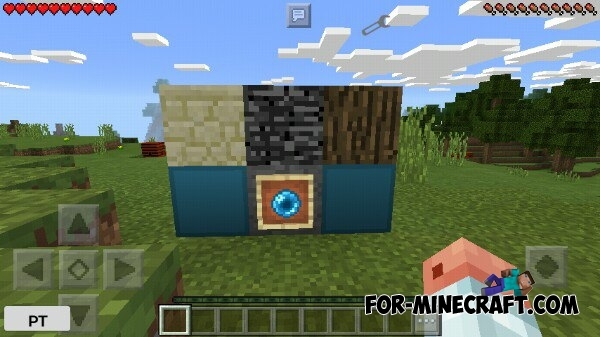 The number of ores is rebalanced. 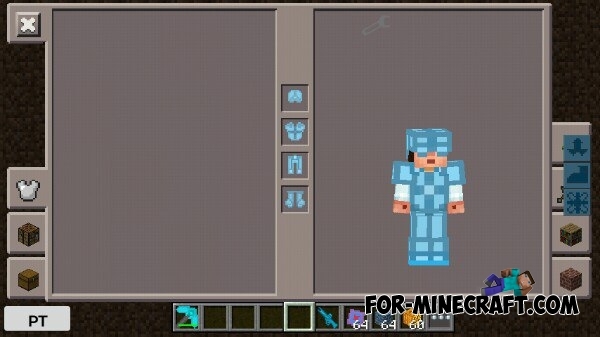 Fixed bug with iron armor. Fixed bug with dragon ore. Reduced the number of real block IDs by 30%. Power furnace and crusher are correctly automated. Illuminating mithril block is renamed (now activated) and no longer shines, crafting recipe has been changed. 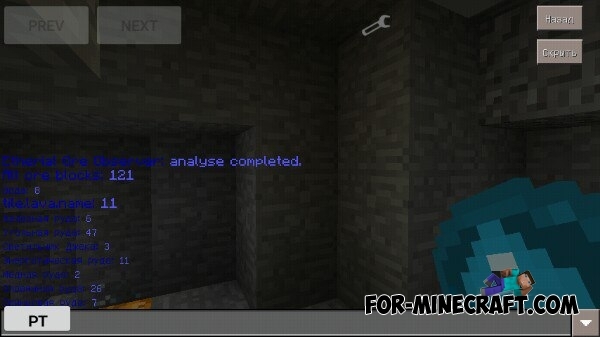 Added the modifier setting of the number of veins for ores in the config file. Fixed bug with localization of some items. 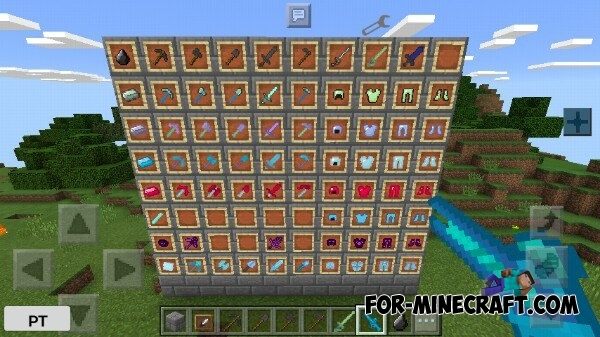 The main logic of the mod is moved to a separate library. 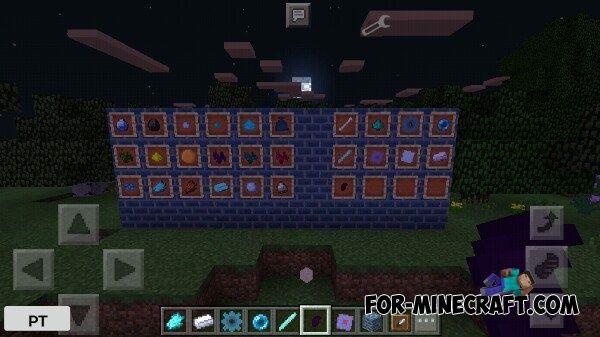 Many items and blocks have been added. New world generation: silver ore and treasury with rare artifacts. Added artifacts and inventory for them. Added 4 grinders consuming RF. Added a blast furnace, it is necessary for making steel, electrum and antiplatite. Changed the illusion behavior. Now they wander aimlessly around the world. The boss' health is reduced to 1500 hp (750 hearts). 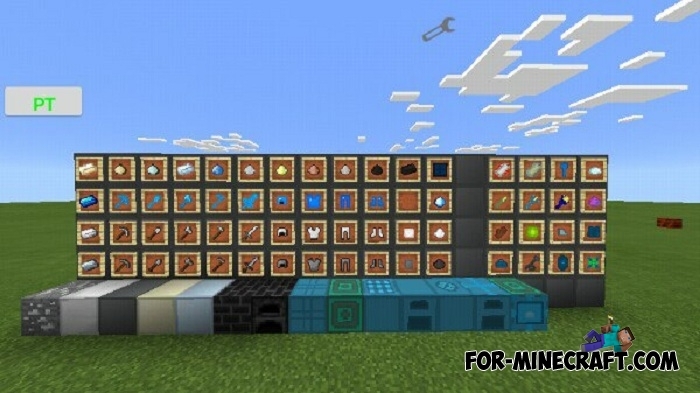 The generation of existing ores is corrected. Bags no longer fall out of the mobs killed by towers. Fixed compatibility with IC PE. The target search function now analyzes an area equal to 2 radii instead of one starting the center of the tower. This fixes problems with the incapability of attacking the arsonist, mine and slower. Power supplies are correctly connected to RF cables. 1. Mithril is a greenish fantasy metal. 2. Antanium is a light purple cosmic metal. 3. Platinum is a light blue celestial metal. 4. Adamantite is a reddish heavy metal. 5. Etherial rod is light, energy-resistant but unstable material. 6. 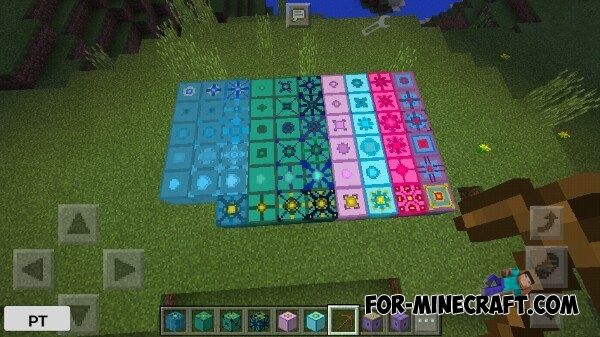 Dragon scale contains the power of the Ender dragon, its speed, mobility and power. 7. Etherial composite is a powerful composite alloy that ejects the celestial energy. 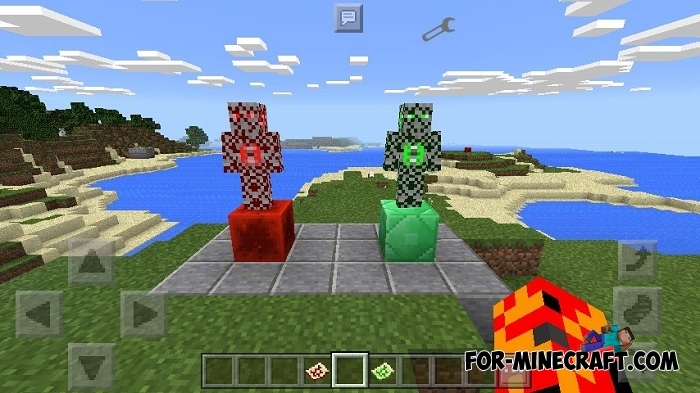 Towers are the main mechanic of the Defense Mod in Minecraft PE. 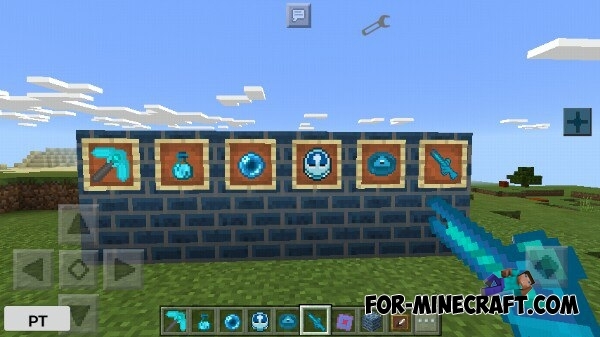 Each one has 10 levels of improvements and unique abilities. To craft all the towers you need a tower core, as well as the mithril tower core for upgrade to level n4 and resources. Level 1 - Basic - x2. Level 2 - Advanced - x4. Level 3 - Extreme - x8. Level 4 - Mithril - x16. Level 5 - Unstable - x32. Level 6 - Fantastic - x64. Level 7 - Antanium - x128. Level 8 - Platinum - x256. Level 9 - Adamantite - x512. Level 10 - Sentinel - x1024. The towers can be charged with any energy registered in energylib, but the main one is RF energy. The tower can take no more than that amount of energy equivalent to 16 RF, energy capacity is unlimited. The towers have a radius of target search. With a certain frequency equal to the tics speed, the tower looks for the target for the attack and remembers it. After this, the tower can act on it at any distance until its death. 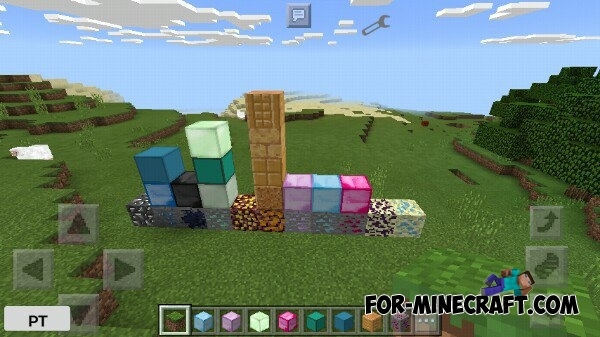 All the towers are resistant to explosions of dynamite and creeper. As soon as one of these resources is in the only slot of the GUI block, it will disappear and you will see how the power generation begins. The upper scale in the interface shows the progress of fuel production, the lower one indicates the charge of the block. The speed depends on the power supply level. 1. Shooter is the most simple tower. 2. Cannon attacks the target and creates an explosion. 3. Mine causes great damage and destroys the landscape by explosion. 4. Slower slows the target around itself. 5. Aarsonist sets the target near to itself. How to install the Defense mod? 1. Install Core Engine 1.2 (download here). 2. 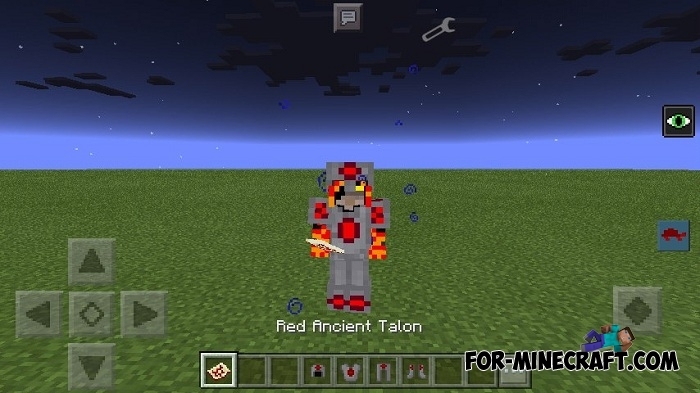 Copy the DefenseMod folder here: /games/com.mojang/mods /. 3. Install ICRender.apk if you do not have it. 4. Run BlockLauncher (v1.15.2+) (download here). 6. Do not pay attention if you have an error with energylib not loaded.